YouTube is growing in stature in the gaming world, playing host to some of the world’s best video game personalities and pro gamers. It continues to be one of the best ways to share information online, as well as to broadcast the best the esports world has to offer. 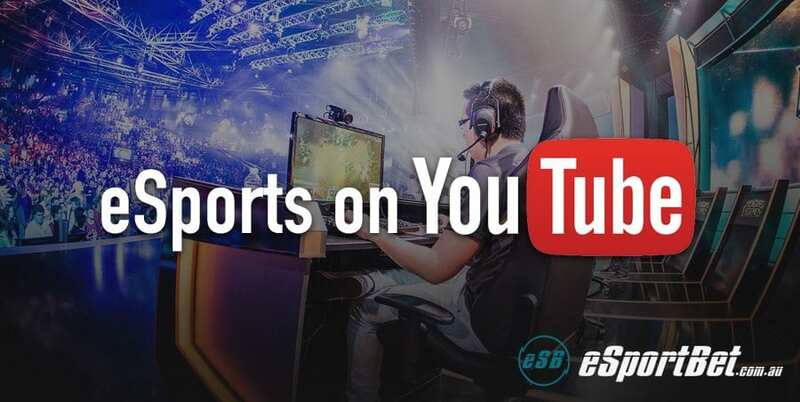 The likes of Twitch, Raptr and Discord dominate a lot of the primary ways to engage and share information for gamers, but YouTube may very well be the definitive place to scourge the internet for tips, summaries, and replays of all the best esports action. It may have a ways to go to compete in the live streaming aspect with Twitch and other big players, but YouTube has already established itself as the premier entertainment destination for pro gaming. So which esports YouTube channels should you be following from the world of professional gaming? Here’s our list of channels you have to follow. Overwatch Central may not be the definitive eSports-focused channel out there, but it’s frequented and loved by the pro gaming community. It is the definitive source of Overwatch tips and guides, focusing on a lot of the game’s issues, additions, changes and rumours, which obviously change the way the game is played in eSports tournaments. It’s quickly become one of the most respected video game channels on all of YouTube, and as such should definitely be followed by anyone looking to break into the Overwatch eSports scene. CS:GO World focuses on tips and tactics, while also providing a deep insight in the pro gaming world of Valve’s FPS juggernaut. It has some fantastic coverage and videos on how to start an eSports team, how to improve your CS:GO skills, and even how to communicate better with teammates during a match. The folks behind the channel are from Poland, and offer some spectacular eSports game footage from live events, while also providing the occasional interview and roundup of the latest tournaments. The Rocket League eSports YouTube channel allows you to catch all of the high-speed action from the game’s pro gaming scene, offering up the best the professional league has to off. There’s regularly updated content, pro player interviews, and live event coverage, so you probably don’t need to look anywhere else for Rocket League eSports. Rocket League is quickly establishing itself as a force in eSports. It should come as no surprise: the game’s unique spin on car racing, football, and just all-round multiplayer shenanigans has allowed it to develop a passionate and highly competitive community. While it’s certainly unlike any other game on the pro gaming circuit, it has the potential to grow into something massive. TheScore is a Canadian-based digital media company that owns and operates mobile sports platforms theScore, and ‘theScore eSports. It also has a very large presence on YouTube, and definitely shouldn’t be overlooked. Its website is also great, covering pretty much everything in the world of pro gaming. It has plenty of great content including interviews, round-ups, live events and coverage of tournaments, and plenty of off-beat stuff like best and worst eSports moments. Perhaps the best independent media coverage of eSports on YouTube. Yahoo! eSports is the big player in this group. Yahoo! has invested heavily in eSports, having poached one of Gamespot AU’s editors to lead editorial coverage from Los Angeles. It covers all of the major events from across the globe, and has everything from on-site interviews, live streaming events, on-the-ground coverage from tournaments, and plenty of other great content across the biggest eSports games. LoL, CS:GO, Overwatch, Street Fighter V, Super Smash Bros. and more fill the channel’s eSports coverage. Hit that subscribe button! If you’re a League Of Legends fan, then you really can’t look past the LoL eSports channel. There you’ll find the best of one of the most competitive titles on the pro gaming circuit. There are live streams from major leagues, including North America and Europe, as well as coverage of the NA and EU Challenger Series, the LCK, the LMS, and all live in HD straight through the YouTube channel. Serenity17 is one of your traditional YouTubers, having built their channel up on the back of a specific game. In this case it was Rainbow Six: Siege, a game that is growing in stature in the esports scene and could take it by storm in 2017. Serenity17 offers fantastic daily content from pro Siege players from around the globe, and also offers reviews, tips, guides, and random gameplay footage. Siege is one game to keep an eye out for in eSports, and so this channel is a must-watch.